The success of Binance issuing the first Initial Exchange Offering (IEO) should not be understated. It can potentially be a game changer for the crypto space. Some attributed the booming ICO market in 2017–2018 as the main reason why Cryptocurrencies were so popular to retail investors. The amount of money that ICOs have raised over the last two years is truly astonishing. Thanks to Cointelegraph, we know that in 2017, ICOs raised a total of $5.6 billion. The number increased to $11.4 billion in 2018! However, arguments show that ICOs were one of the main reasons for Crypto Winter. An article by Bitcoinist offers key insights on why Ethereum suffered a huge drop and it was because of ICO projects liquidating their ETH. Therefore, like every innovative idea, there needs to be some adapting. In January 2019, Binance announced BitTorrent will launch their fundraising on their LaunchPad. This offering is called Initial Exchange Offering (IEO). The successes of both BitTorrent and Fetch.AI are turning heads and spreading as a possible game changer to ICOs. Now, other exchanges are following Binance in offering this service. The first ever Initial Exchange Offering goes to Tron’s BitTorrent. Justin Sun acquired the torrent client in July 2018. For $140 million, TRON was able to bring 100 million users to its blockchain protocol. BitTorrent’s crowdsale can be considered a huge success. They managed to sell 59.4 billion tokens in two sessions. Users purchased BTT tokens using Binance coin (BNB) and Tron tokens (TRX) and only took 15 minutes to reach its hard cap of $7.2 million. The success of BitTorrent’s IEO was one to celebrate as a whole in the crypto/blockchain space. ICOs needed to undergo major changes to become what it intends to be- the fundraising disruptor. Binance is the largest cryptocurrency exchange by traded volume. 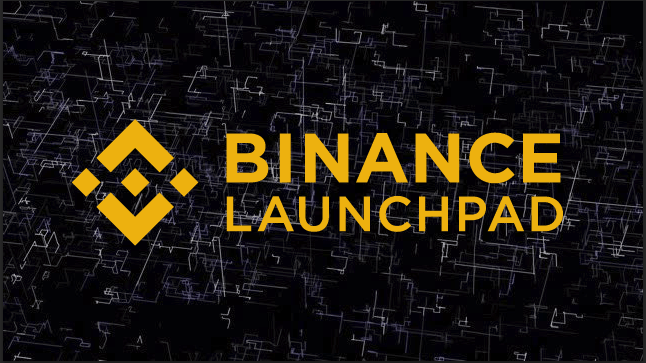 It is also first exchange to unveil an IEO platform in January 2019, the Binance Launchpad. Following Binance would be Bittrex, KuCoin, Huobi, BitMax, and more. With other exchanges now following Binance, we can expect more IEOs to happy. But all credit goes to Binance for setting up such a progressive move to further crypto adoption. Fetch.AI was another IEO that saw great success with their fundraising efforts. The project is developing a super intelligent infrastructure that connects transportation, manufacturing, hospitality and supply chain systems. They will track operational data and create predictive functionalities. Their efforts can not only increase efficiency but also exploit under-utilized assets, providing maximum value on the supply and demand side. The project raised 69,204,152 FET, which is approximately $6 million in 10 seconds. The funding has 2,758 contributors, making the average contribution of $2,175. As more exchanges looking to provide this service to crypto projects, this will lead to major changes in the crypto industry. As a result, the space is becoming much safer for investors and cryptocurrency enthusiasts. More importantly, real innovation can happen. IEOs seems like the natural successor to ICOs – providing an alternative to crypto projects to raise funds. Let’s take a look at IEOs. 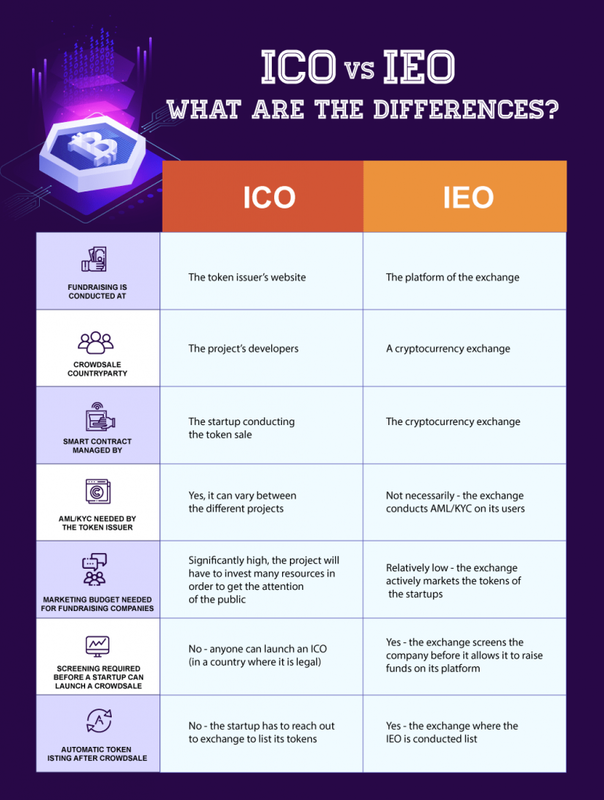 An Initial Exchange Offering (IEO) is similar to ICOs but it is conducted on a cryptocurrency exchange. The crypto exchange will administer on behalf of the startup by creating a platform where investors can participate in the fundraising. The token issuers have to pay a listing fee to the exchange along with a percentage of the tokens sold during the offering. In return, the exchange will sell the tokens of the crypto startups. After the IEO is over, the exchange will then list the coins on its platform. 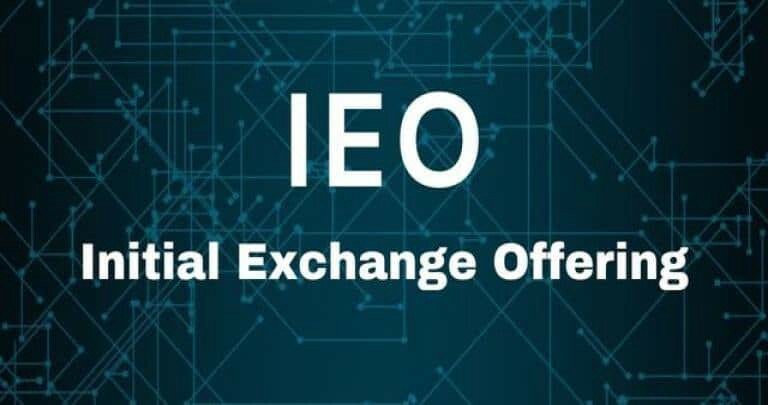 Incentivizing exchanges with the percentage sold in the IEO is a great way to get an established name to market the offering. Furthermore, the IEO participants have to create an account on the exchange’s platform. Therefore, the partnership is beneficial to both parties during the course of IEO. ICOs have developed a negative reputation due to the various scams and disappearance of projects. Therefore, having a reputable exchange as a partner can greatly increase the credibility of the startup. Bad projects can and will affect the reputation of the exchange as well. Crypto exchanges are strongly incentivized to vet the token issuer and the quality of their offering. In order to protect their name, exchanges require the startups to be credible and thus, these startups will undergo intense due diligence by the exchange. This highly reduces the likelihood of the startup being unveiled as scams. Projects listed as IEO on exchanges will enjoy a near-instant listing. Another difference is that ICO’s mint their tokens once the funding gets completed. In the case of IEO’s, projects generate tokens and send them to the exchange platform. A huge obstacle for ICOs is handling KYC/AML. For IEOs, token issuers do not have to worry as the exchange shall manage the KYC/AML process is also handled by the crypto exchange. Can IEOs be the next major Cryptocurrency hype? We all know how incredible ICOs back when they were the hot topic. Initial Exchange Offerings look to be a solution to the many ICO scams and sub-optimal project offerings. Binance and other exchanges are looking to make the space safe for investors. Exchanges provide an increased level of trust among cryptocurrency projects and investors. As a result of being the middle-man between investors and projects, most IEOs have a higher chance of being quality projects. Therefore, IEOs have the potential of becoming the standard model for raising funds for future projects. Can Binance’s Initial Exchange Offering (IEO) Platform Lead the Next Crypto Wave? was originally published in Hacker Noon on Medium, where people are continuing the conversation by highlighting and responding to this story. Previous PostPrevious Token Underground 0x2: wtf is Mithril’s ‘social mining’?